Situated along the banks of the scenic Monocacy River is a stunning new building that’s destined to redefine Class A office space in Frederick. RiversideFive is a state-of-the-art office building boasting superior design and enduring quality at an exceptional location. This distinctive four-story structure offers convenient access to nearby residential centers, as well as a rapidly-growing number of national retailers, banks, restaurants, and retail services. 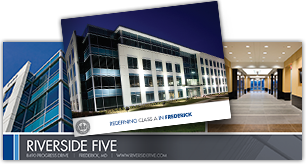 Discover for yourself what separates RiversideFive from the competition. 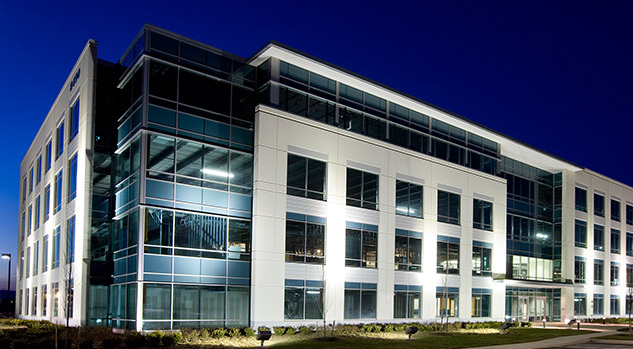 Contact us today to discuss options for Class A office space.